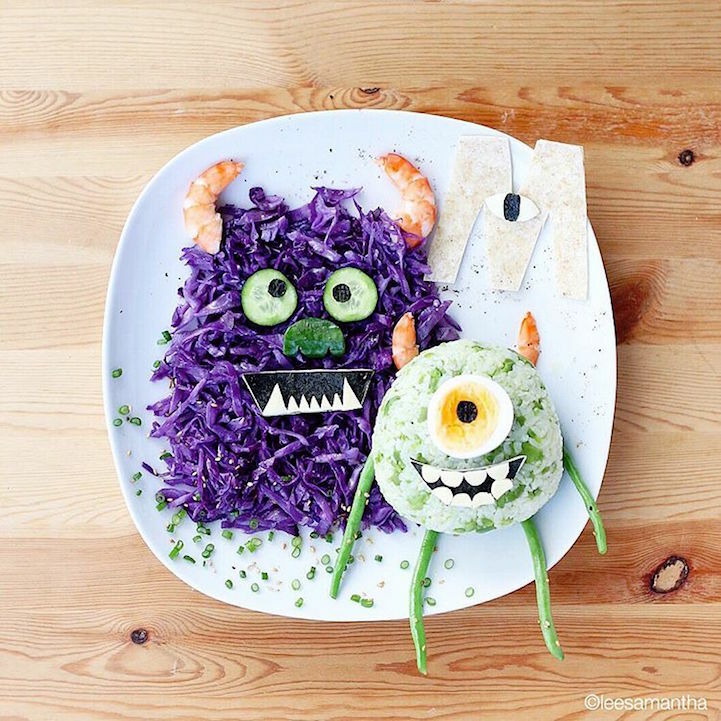 Children are usually not so excited when eating a regular full meal because they rather eat junk foods than anything healthy. 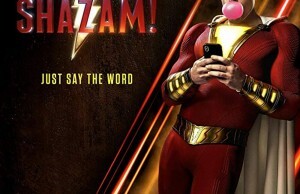 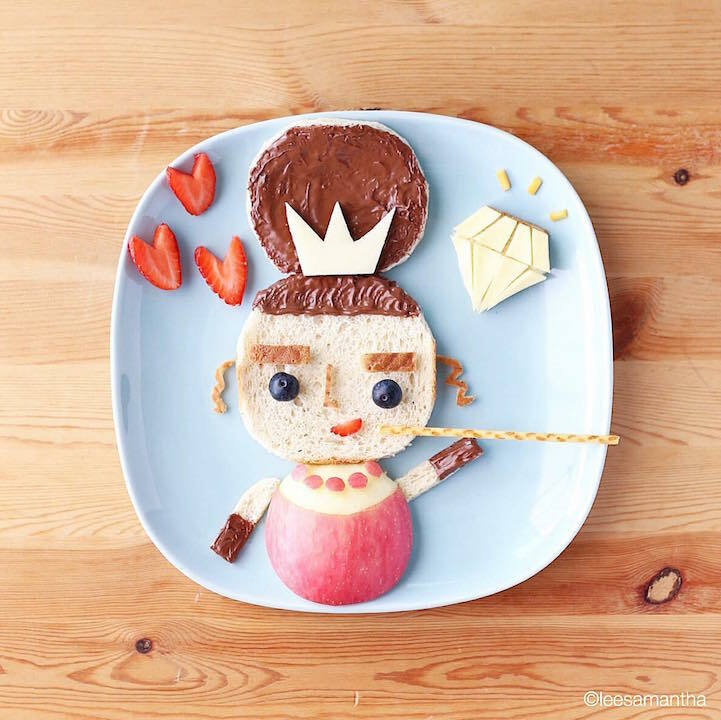 Maybe that’s the reason they like to play with their food. 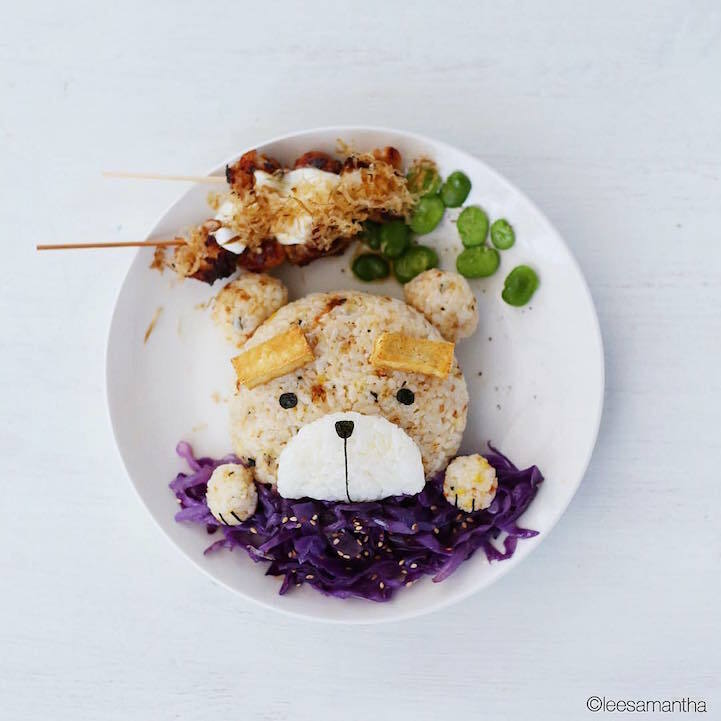 Most moms are having a hard time telling their kids not to play with their food, but this one mom named Samantha Lee, based in Malaysia is not your typical mom in dining table manners. 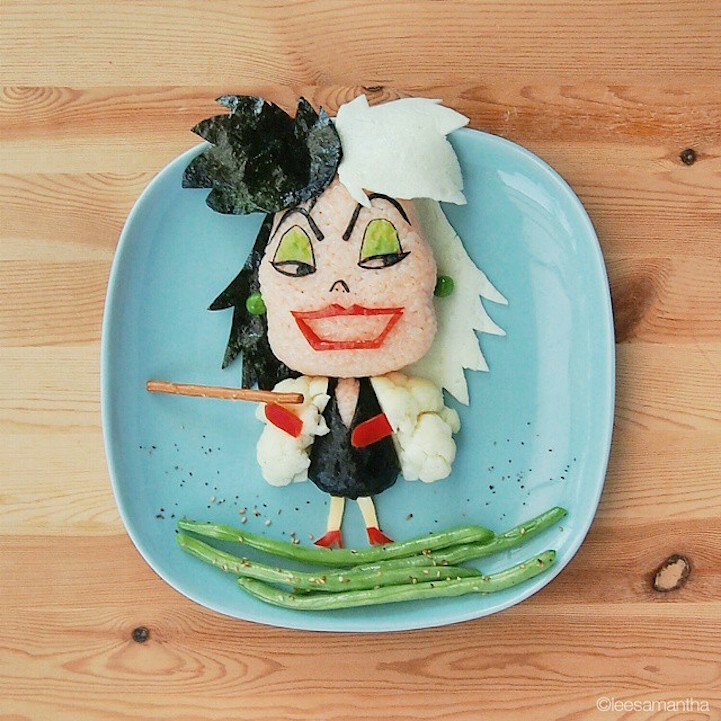 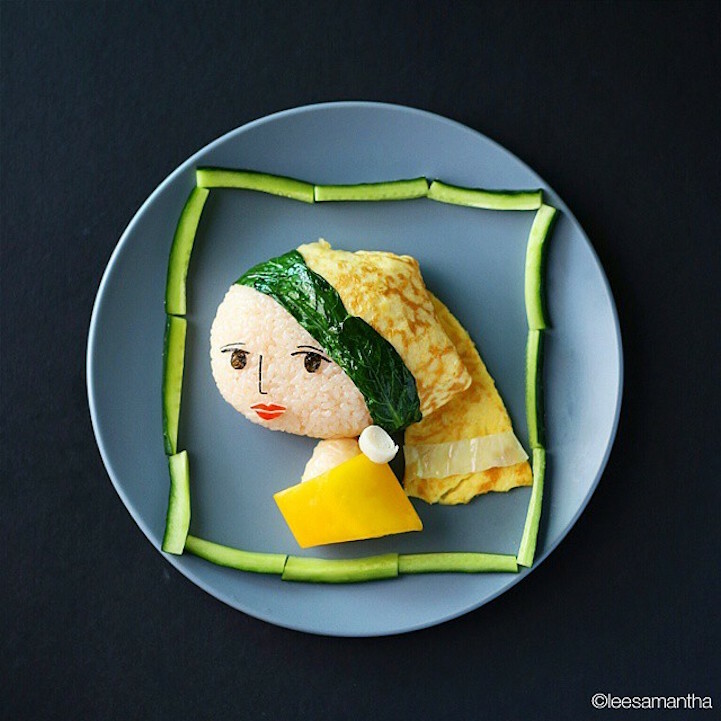 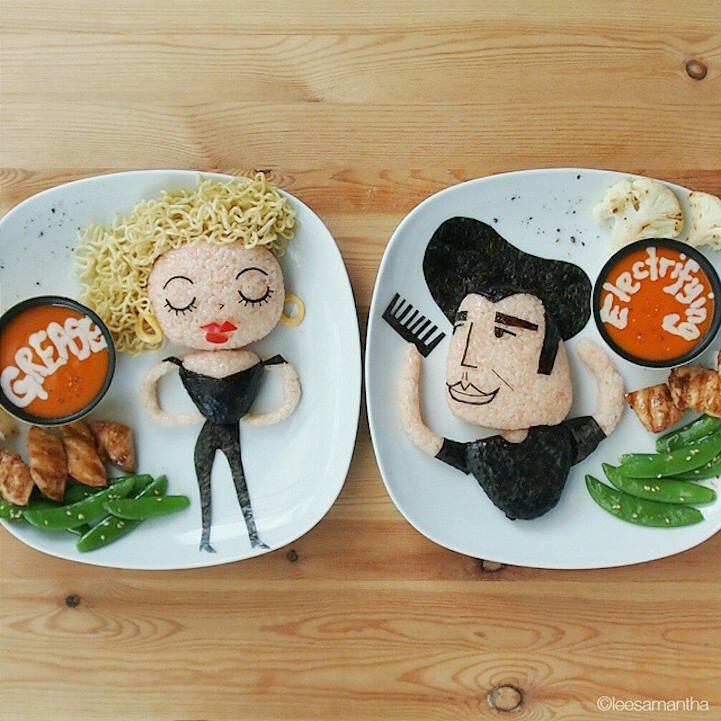 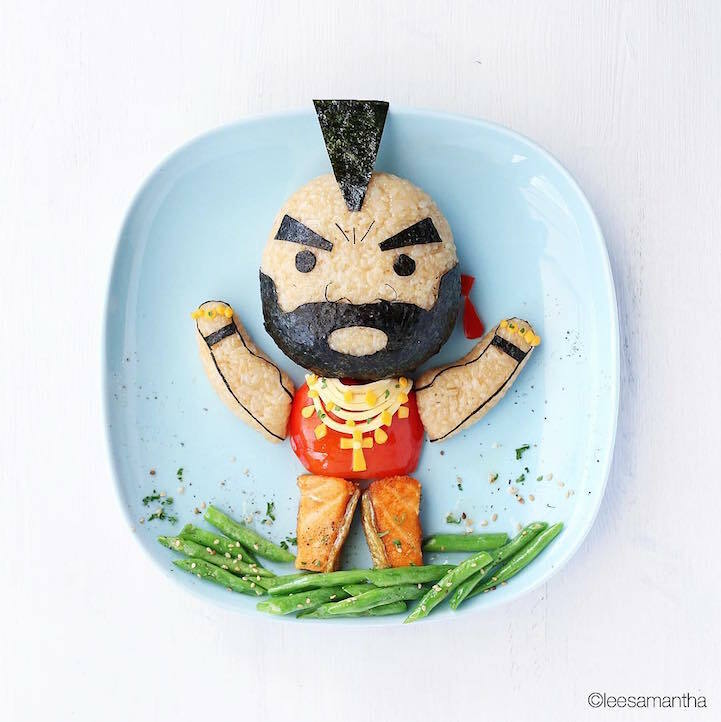 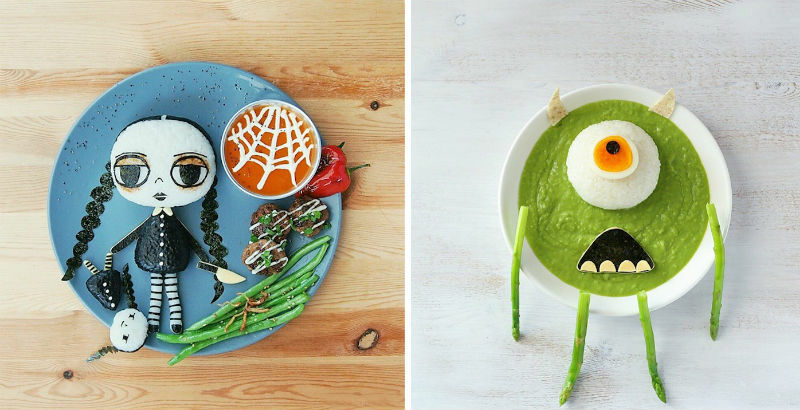 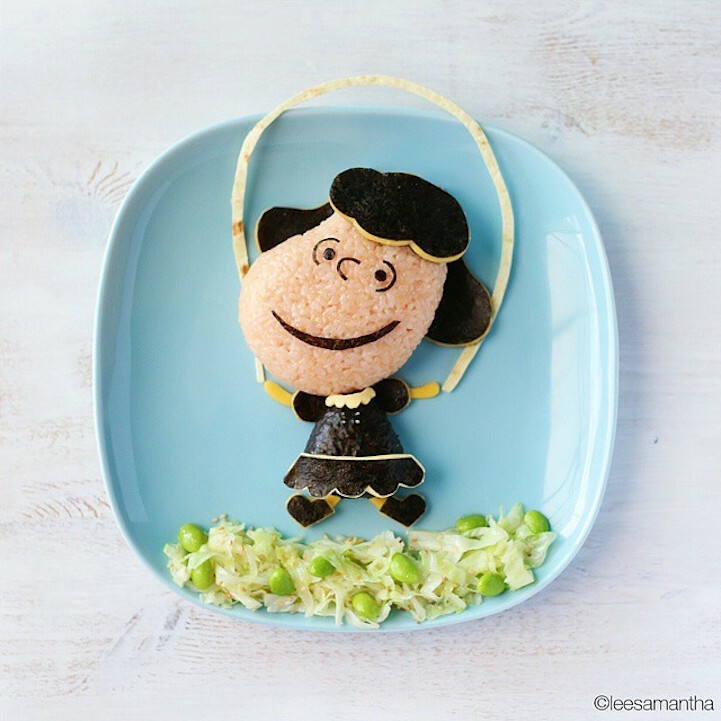 Samantha Lee is a food artist who incredibly transforms her two kids’ meals into a fantastic mimic of everyday pop culture idols. 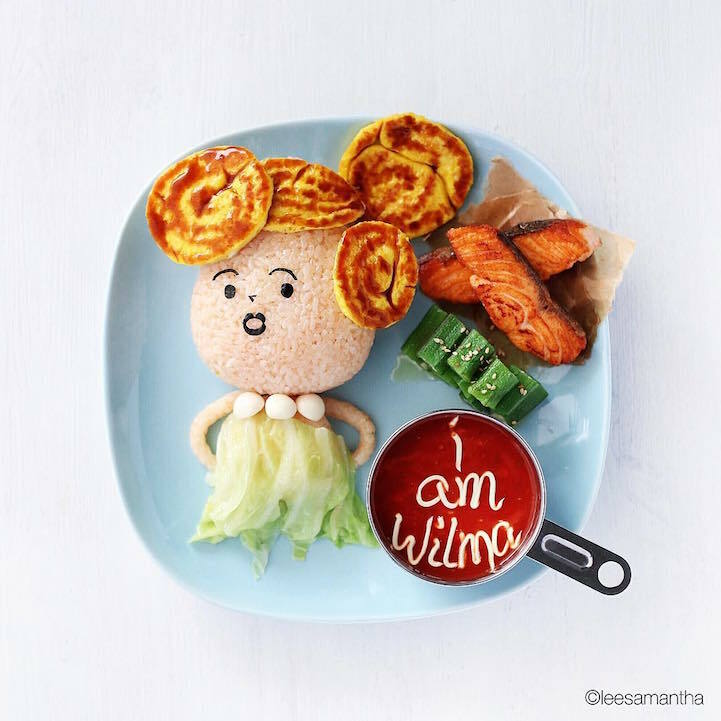 From the real-life characters like Frida Khalo and Audrey Hepburn to the animated icons like Wilma Flintstones and Wall-E.
Samantha was first discovered on Instagram three years ago when she started sharing her work and has ventured on creating more and more doppelgangers for fictional characters and celebrities. 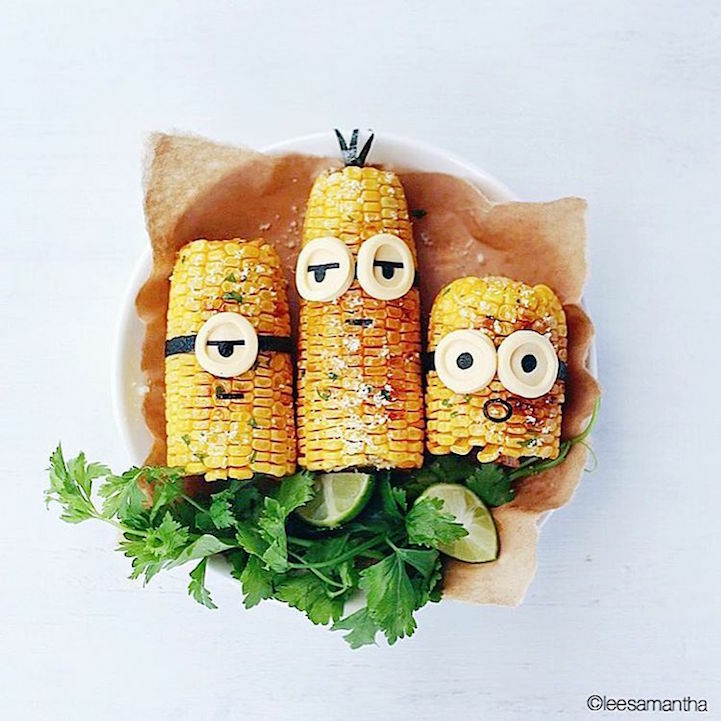 She designed Despicable Me’s Minions from corns. 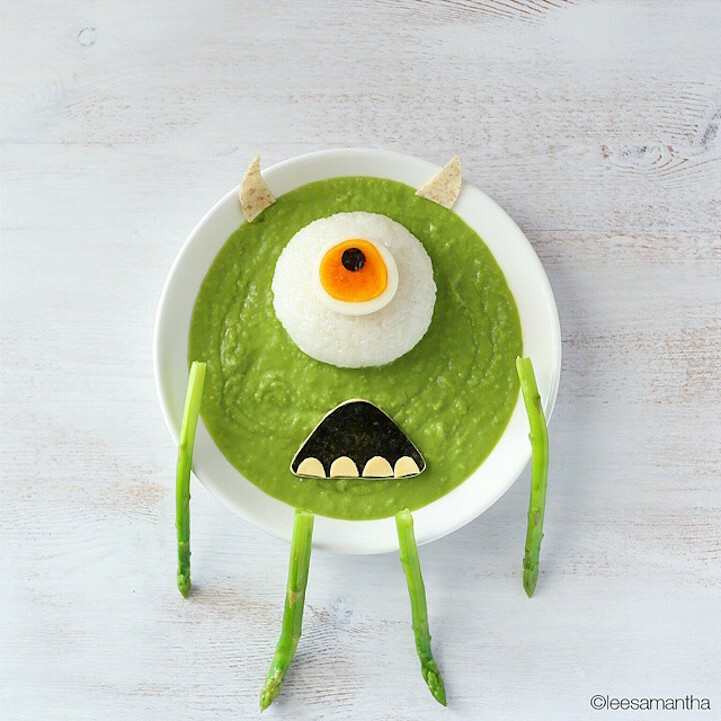 She even modeled the popular singer of Hello, Adelle from a sushi rice with an omelette bouffant and a ketchup written as ‘Hello.’ She managed to transform a green bowl of soup into a very impressive copycat of Monsters, Inc.’s Mike Wazowski. 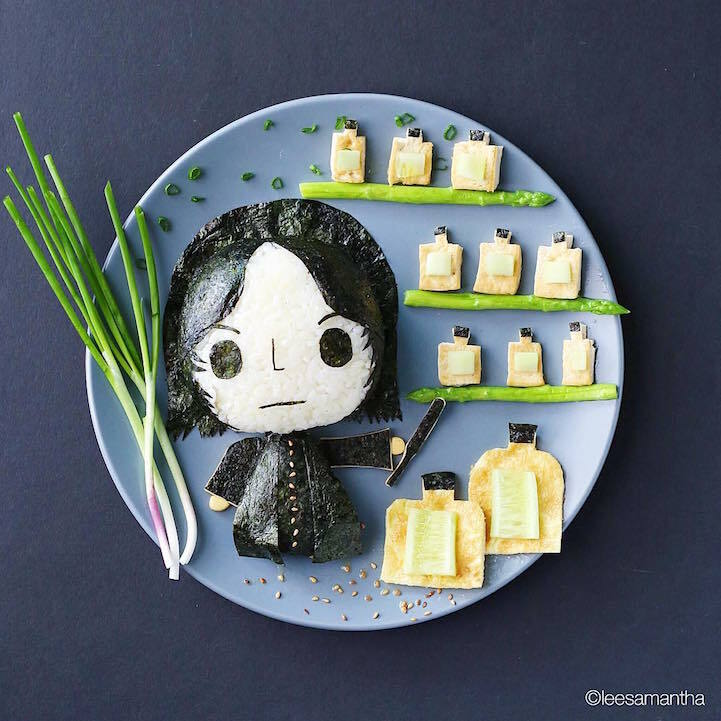 Her brilliant and creative imagination paved the way for her to earn her partnerships with brands like The Food Network, HP, and Unilever. 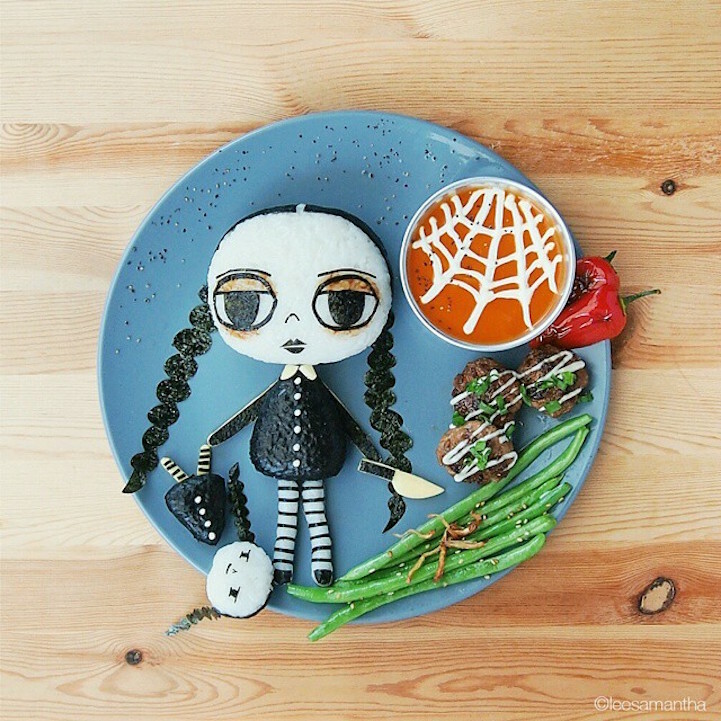 She is also currently working on her first book entitled, My World Is Full of Fun. 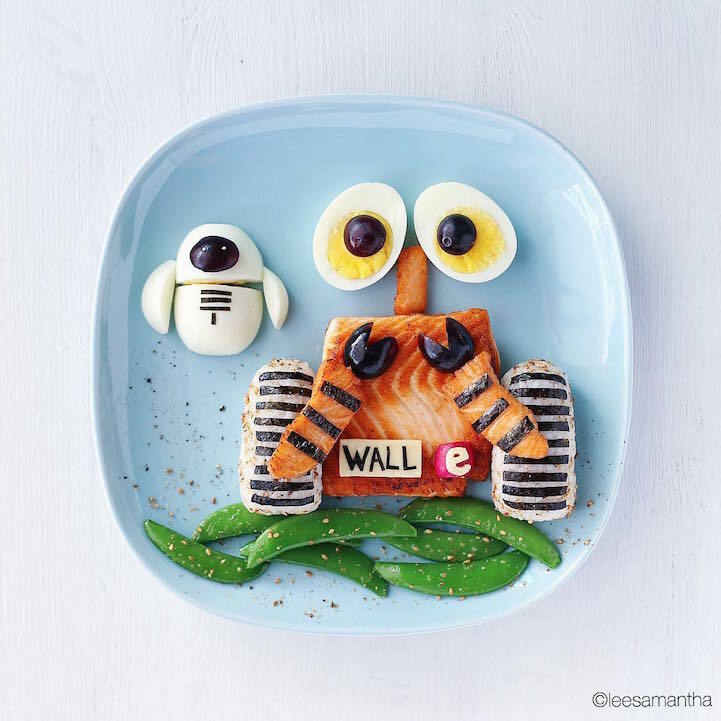 Samantha Lee’s culinary designs bring out fun and exciting ways to do with delectable and delicious foods that are too adorable to be eaten. 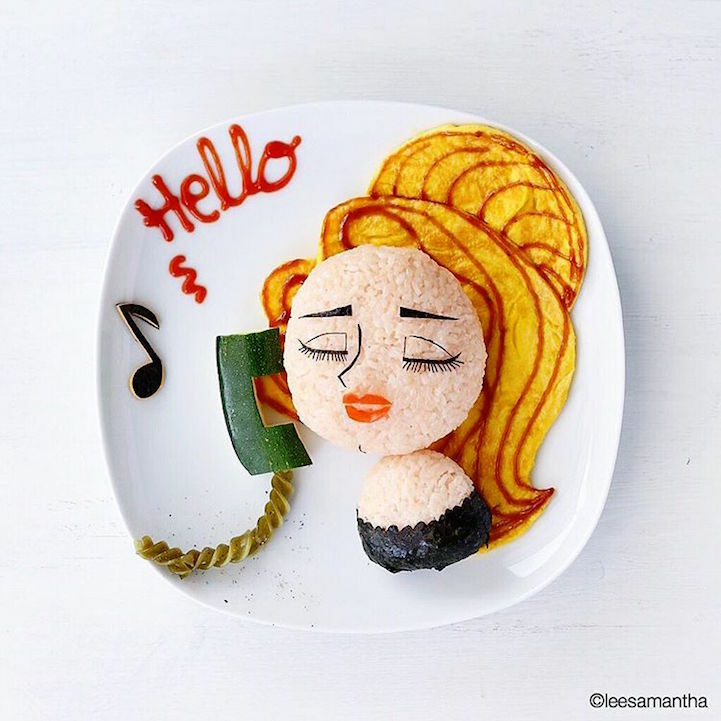 Next Story → Dessert French Fries Should Totally Be a Regular Thing Already!